General conference, a worldwide gathering of The Church of Jesus Christ of Latter-day Saints, imparts a sense of belonging to the whole, a kinship with other believers to members across the globe. 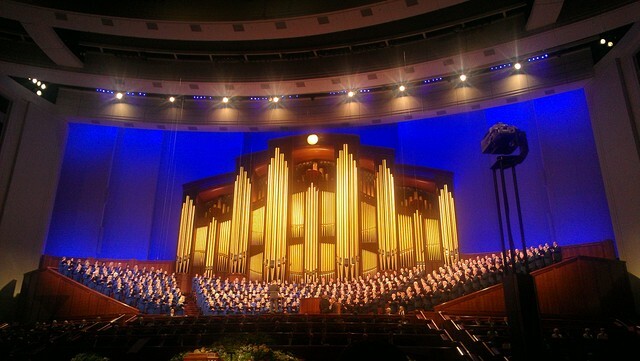 In the semiannual meetings, which originate from Salt Lake City, Utah, the 14 million-plus members of the Church receive instruction and guidance from the body of Church leaders and affirm their support of those leaders. 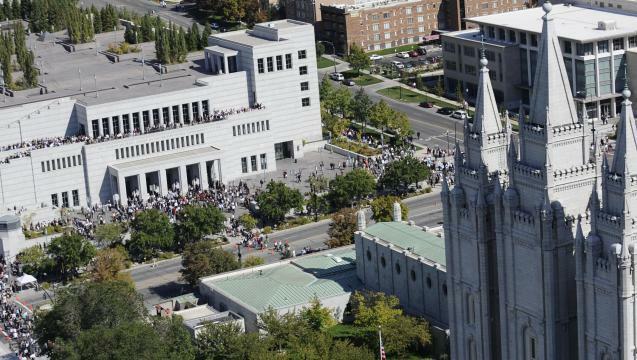 General conferences, since 2000, emanate from the Conference Center adjacent to the famed Temple Square. The Conference Center, which seats 21,000, fills to capacity for each of the five general sessions. Beyond the immediate audience, the conference reaches across the earth with radio, television, satellite and Internet connections and is translated into 92 different languages.